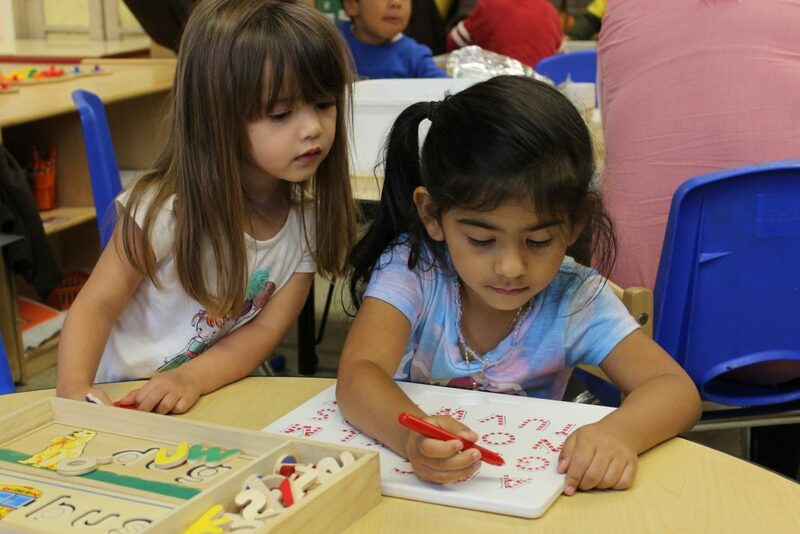 Briya offers a high-quality dual-language inclusion program for three- and four-year-olds. An English-speaking and Spanish-speaking teacher are present in each classroom, and materials and instruction are provided in both languages. Briya teachers study and apply strategies known to be effective for dual-language learners. Briya also recognizes that social-emotional competence is the foundation for early learning and prioritizes this in instruction. In PreK classrooms, students engage in project-based learning and explore topics that are relevant to their daily lives and allow them to develop a range of skills. Students are active explorers and are able to construct knowledge and social relationships with the help of intentional teachers. The Creative Curriculum and Teaching Strategies GOLD provide a comprehensive curriculum and assessment, and additional assessment tools and curriculum supplements are used as needed. Briya’s RTI program takes into account dependencies of learning and utilizes language and social emotional data to help teachers collaboratively plan instruction that is data driven and developmentally appropriate. Teachers partner with families throughout the school year to ensure that parents are also engaged in children’s play-based learning and acquisition of key skills and concepts. While over 50% of PreK students enter Briya below academic expectations in key developmental areas, they achieve some of the best outcomes in the District, providing them with a strong foundation for success in kindergarten and beyond.